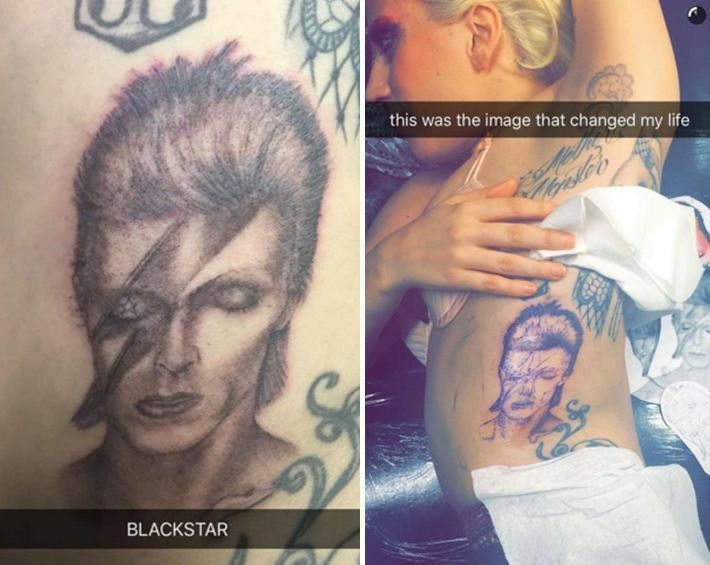 Ahead of her highly-anticipated David Bowie tribute performance at tomorrow's Grammy's, Stefani Joanne Angelina Germanotta (Lady GaGa in layman's terms) not surprisingly, went the extra mile, and branded her own body with Bowie last night. GaGa a perfect replica of Mr. Bowie's iconic Aladdin Sane album cover on her side, done by revered tattoo artist Mark Mahoney. The OSCAR-NOMINATED AND GOLDEN GLOBE WINNING singer gave us a glimpse of the newest addition to her fairly extensive tat collection via Snapchat. 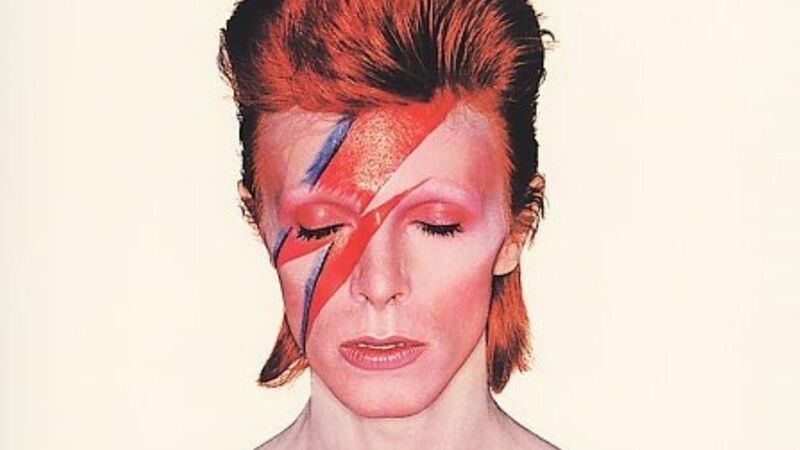 "When I fell in love with David Bowie, when I was living on the Lower East Side, I always felt that his glamour was something he was using to express a message to people that was very healing for their souls." I'm already allowing myself an hour of weeping tomorrow, following her most-likely phenomenal send-up.